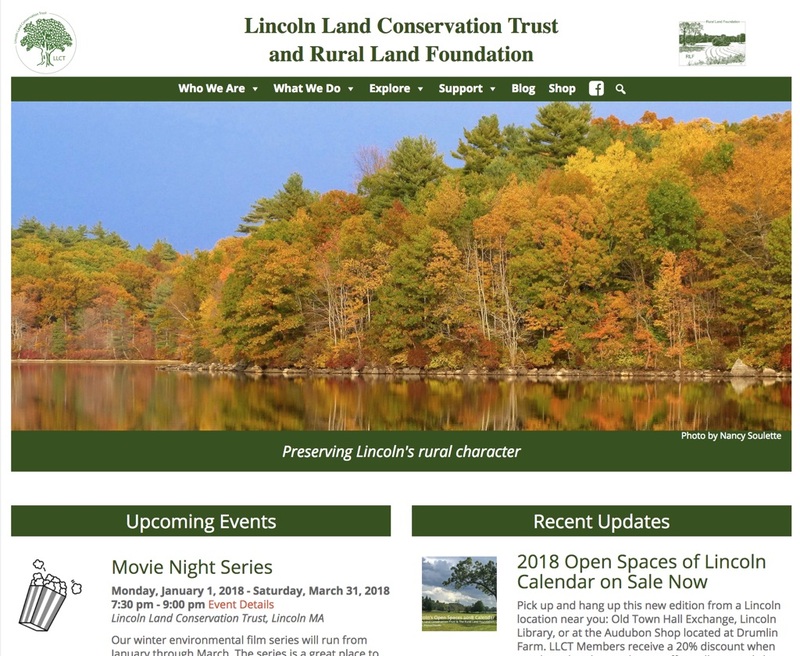 Lincoln Land Conservation Trust (LLCT) contacted Trail Websites after learning about our work on the Walden Woods Project website. LLCT was in need of an improved website that was mobile responsive, easier to manage and with event management and better online giving capabilities. The new LLCT website launched in November 2017 and is the foundation on which they will be able to add more content to share with their community. Event management, blogging, Google Maps enhanced Suggested Walks and several types of donation forms provide increased functionality while the underlying WordPress based site provides a great user experience on any device. We welcome LLCT to the Trail Websites customer community and congratulate them on their new website.